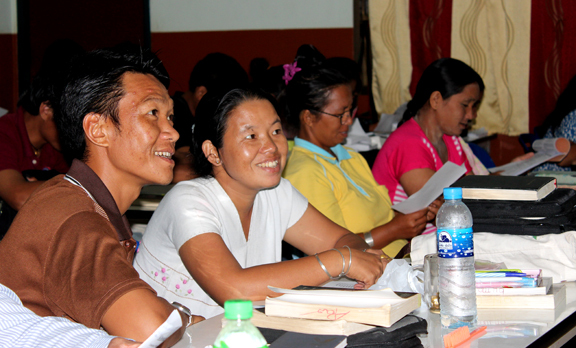 At present time, more than 170 Akha leaders are being trained in the Word through Akha Bible Institute. At the close of the 2013 school year, we had 166 graduates from all programs, over 70% of whom are currently serving in ministry. This is made possible through the international Body of Christ partnering with us in prayer and support. As a supporter of Akha Bible Institute, you will receive personal testimonies from a leader twice a year as well as emailed prayer updates. We also encourage supporters to come visit Thailand and see what God is doing at Akha Bible Institute! Click here to learn more about leadership training. $50 per month covers one Akha leader’s Bible training. This amount helps toward operating expenses of the Akha Outreach campus, including teacher’s salaries and utilities. The leaders themselves pay a nominal fee for the training, which helps to cover the cost of food. Please click the “Donate Now” button below to make a donation (You will be able to enter an amount on the next page). To set up a recurring monthly donations, please check the “Make This Recurring (Monthly)” box.